Digital rights experts have called for the replication of Nigeria’s Digital Rights and Freedom Bill by other African countries. The bill which was recently passed by the National Assembly was praised by experts as a step in the good direction in strengthening digital rights on the continent. The experts made this call at the 6th Internet Freedom Forum, an international conference organized by Paradigm Initiative, which is currently taking place at NAF Conference Centre, Abuja. Dapo Olorunyomi, the publisher of Premium Times, said the media was already accountable and it was the government that needed to improve transparency and its proactiveness in releasing information. The Internet Freedom Forum also had a session dedicated to discussing the impact of intentional internet disruptions on the economy. This session, coordinated by the Centre for Intellectual Property and Information Technology Law (CIPIT) at Strathmore University Kenya, analyzed the economic impact of internet shutdown on the economies of the countries that have experienced. 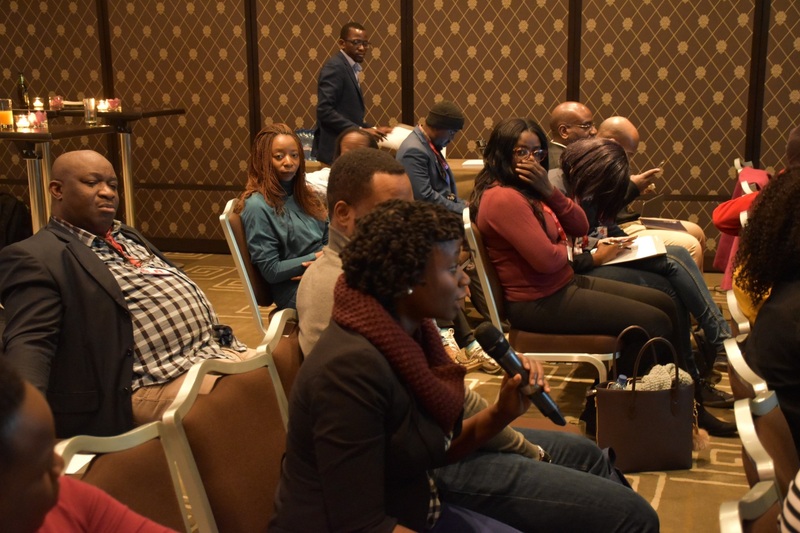 Speakers at the session bemoaned the ease with which African countries now resort to internet shutdown without any consideration for its impact on their peoples and economy. The Forum, which runs between April 24 to April 26, brings together experts from across some forty countries in Africa and beyond. speakers at the event together also included ‘Gbenga Sesan, Tolu Adeleru-Balogun of Naija Info, Ana Brandusescu of Web Foundation, and Titi Akinsanmi of Google. Africa’s many development challenges around the economy, health, security, environment, employment and housing amongst others have for many decades captured the world’s attention. 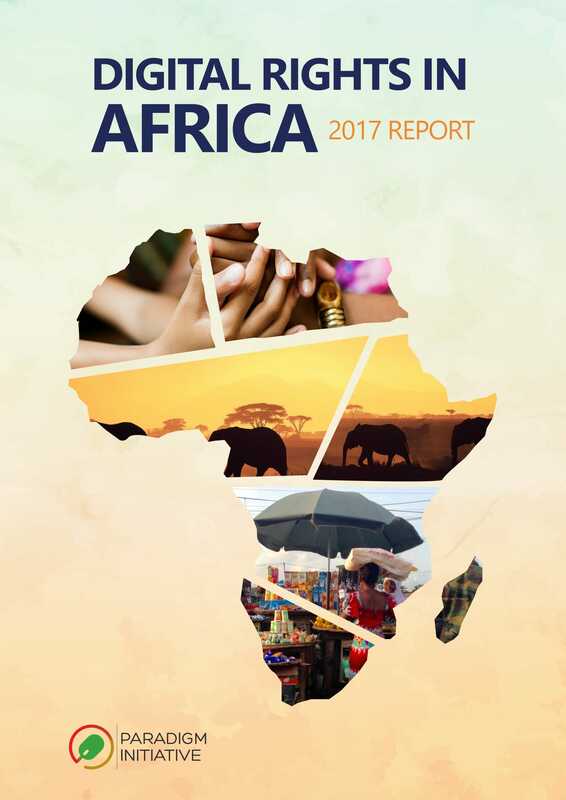 The fragile socio-economic fabric of the continent has resulted in Africa being a major recipient of foreign aid and development grants over the years. Therefore when it’s election time in Africa, many interests collide as they strive to shape the future of the continent, at least for the time permitted by the term limit of the offices being sought. In Presidential elections, in particular, the stakes are highest because of the tremendous power African Heads of States tend to have to shape the destinies of their countries. However, it is clear that in recent years, election time in Africa has also become the platform for some of the worst human rights abuses as incumbents strive to hold on to power by all means. Digital rights in Africa have suffered as elections in Africa between 2016 and 2017 have being the setting for Internet shutdowns, blocking of apps such as whatsapp and twitter which citizens use in political mobilizing. Governments across Africa have typically used excuses such restricting fake news and hate speech as a pretext in carrying out information controls around elections, but their real intentions are always plain – suppressing their populations to achieve political advantage. In March 7 and March 26 – March 28 respectively, the West African nations of Sierra Leone and Egypt in North Africa will conduct Presidential elections in contexts where the incumbents seem inordinately disposed to retain power for self and political party – and as such just the right environment for the blocking/throttling of social media, Internet disruptions, illegal surveillance, clampdown on citizens and journalists as we have witnessed across Africa in recent years. Egypt, in particular, gives the most cause for concern. In addition to implementing one of the most extensive surveillance networks against journalists on the continent, Internet disruptions in the Sinai, authorities in Egypt are currently building a climate of fear where digital rights including freedom of expression and press freedoms cannot thrive. As these important elections are held in the coming few weeks, Paradigm Initiative will work with partners in the region to monitor the situations in these countries. Alongside the global digital rights community, we are of the firm opinion that access to the Internet should never be disrupted intentionally and those successful elections can be held in Africa without information controls. Elections in Nigeria in 2015 and Ghana in 2016 teach that the Internet can actually become a tool for the successful conduct of elections and the political process in general. This is a lesson we hope can be replicated across Africa. Effective digital engagement by government agencies remains a big priority for the Federal Government because of its immense potential, this was the position of Tolu Ogunlesi, the Head of Presidency Office of Digital Engagement (PODE). 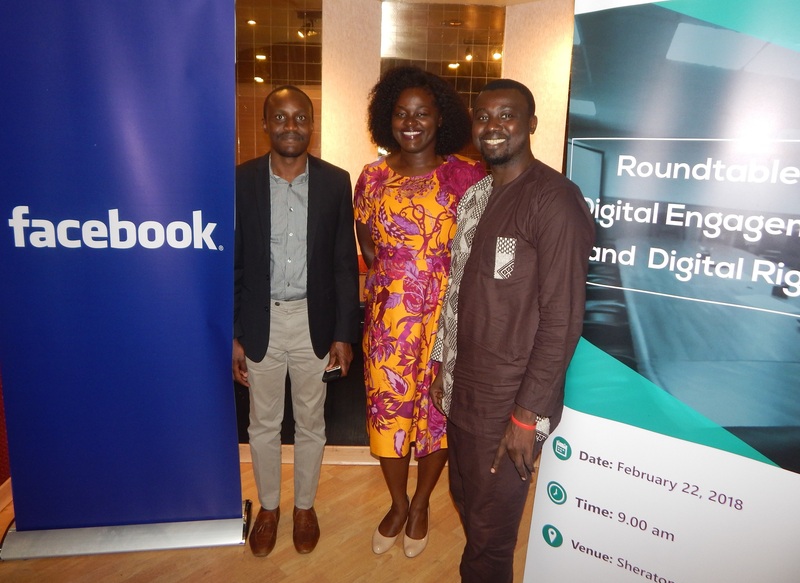 Ogunlesi was speaking at a stakeholder roundtable on digital rights and digital engagement organised by Paradigm Initiative, Facebook and PODE. The roundtable, which held on February 22, in Lagos, brought together stakeholders from government agencies, the private sector and the civil society. It provided an engaging atmosphere for a lively debate on issues affecting internet freedom and digital engagement by government agencies in Nigeria. Issues discussed at the roundtable include data privacy and protection, law enforcement, libel, fake news, and digital engagement by the government. The roundtable followed the first edition held in Abuja last year. Tolu Ogunlesi, who led the conversation on a proposed Digital Engagement Policy for Federal Government, said that his office was working hard on creating digital engagement standards that would guide all government offices in their use of digital tools to ensure effective communication with the public. Participants at the roundtable include Anselm Ozioko of the Economic and Financial Crimes Commission representing the Acting Chairman of the Commission and the Acting Director of Defence Information Brigadier General John Agim, who provided perspectives from the national security and law enforcement side. Other participants are Chioma Okee-Aguguo representing the CEO of National Information Technology Development Agency, Olufemi Fadare of the National Identity Management Commission, Olusola Teniola, President, Association Of Telecommunication Companies Of Nigeria (ATCON), Edet Ojo, Executive Director at Media Rights Agenda. Cette interruption d’Internet intervient suite à l’appel du Comité Laïc de Coordination (CLC) de la RDC à une vivre journée de mobilisation le dimanche 25 février 2018, ceci après d’autres perturbations enregistrées ces trois derniers mois. Le 30 décembre 2017 une lettre du ministre des Postes, des Télécommunications et de l’Information a demandé au Directeur Général d’AFRICELL Congo, la suspension totale des fournitures Internet dans le pays, ainsi que les communications par SMS. Cet arrêt de trois jours s’est produit après le début des manifestations de l’opposition. Le 21 janvier 2018, alors que les dirigeants des églises catholiques ont appelé à des manifestations pacifiques contre les 17 ans du président Joseph Kabila, une nouvelle fermeture a eu lieu avec une durée d’environ 48 heures. Le blocage des médias sociaux tels que WhatsApp, Facebook, YouTube et Skype est une pratique régulière pour entraver la communication entre les populations. La RD Congo compte plus de 83 millions d’habitants avec un taux de pénétration de l’Internet d’environ 15%. Les pertes liées aux coupures d’Internet sont évaluées à environ 2 millions de dollars par jour. Paradigm Initiative comme par le passé condamne ces fermetures d’Internet volontaires ou involontaires en RD Congo. Les coupures d’Internet de toutes les formes que ce soit sont une violation flagrante des droits numériques et des libertés d’expression garantis par les textes de loi du pays. 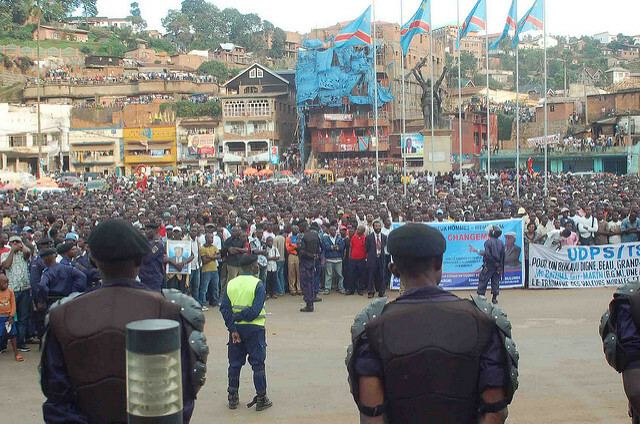 Paradigm Initiative exhorte enfin le Gouvernement de la RD Congo à respecter ses obligations internationales en matière de droits de l’homme et de contribuer durablement aux actions de protection des droits numériques à l’approche des élections législatives et présidentielles prévues en 2018. It is no longer news that Cambridge Analytica’s transgression is not just about the Donald Trump’s 2016 elections campaign or the role of Russia in the United States’ election. Evidence has now shown that it had its footprints in the very toxic 2015 elections in Nigeria and the very highly contested Kenya elections in 2016. The implication of this must not be lost on us. This is not just about elections, this is not just about the failure of an intermediary to justify the trust of its customers in it but this is also about the significance of data in the 21st century. While there are barely any data protection frameworks across many countries in Africa, the thirst for data harvesting by the government is almost unquenchable. The risk that we face in Africa is not only about what or how private companies handle our data and who they connive with but also how government use data as a tool of control and manipulations of citizens. In Nigeria like many African countries, security agencies have unfettered access to citizens’ data irrespective of whom it was shared with (government or private companies), in a very opaque manner with no system of accountability or judicial oversight in place and the absence of the opportunity to seek redress is like adding insult to injury. The subject of data protection is never really taken seriously in Africa. The laissez-faire attitudes of not just data custodians but of data owners are very alarming. On a continent with unbridled data harvesting processes completed and ongoing, not many appreciate nor care about what’s been done with those data. A government agency in an African country once sold laptops used for some data harvesting exercise to private individuals without completely erasing the private data mined with the computer. Kenya and Nigeria, the two African countries that we are sure to have the footprint of Cambridge analytical has no data protection Laws. The process to have one has been ongoing for years in both countries. In Nigeria, draft data protection legislation has sat in the country’s National Assembly for 8 years and this is despite the fact that the bill was sponsored by the speaker of Nigeria’s House of Representatives and the number 4 citizen of the country. One would have thought with the profile, the bill should be making accelerated progress. The closest Nigeria is to a Data protection framework, is the Digital Rights and freedom Bill which has been passed by both houses of Nigeria’s National Assembly and awaiting Presidential assent. In Africa, only about 14 countries have a data protection law according to a report on Data Protection published by Delloite. The report further shows that in the whole of Anglophone West Africa, only Ghana has Data protection frameworks. While Nigeria’s process is ongoing, Liberia has no frameworks at all. Sierra Leone and The Gambia has some level of constitutional coverage which isn’t sufficient given new realities. Central Africa is worse. From the Central Africa Republic to Congo DR and Congo Brazzaville, South Sudan and Cameroon, No frameworks exists! The EU General Data Protection Regulations (GDPR) is widely regarded as the most comprehensive — data protection framework in the world. And Nigeria’s and Kenya’s Data Protection Bill were modelled on the GDPR. The two countries definitely need whatever it takes to complete the ongoing process. This may be a low hanging fruit within an African context while those countries that have not started the process now needs to do so immediately. In the meantime, and while we examine what lessons are there for us in the cambridge analytica whistle blower revelations, we must emphasize the paramount importance of company’s responsibility to protect the data held in trust for their customers. Citizens’ data are openly advertised for political or business patronage in many countries in Africa and not many are worried by this trend. What we are seeing now is how the fundamental choice in elections is shaped by forces outside our territory. How we think we are in charge of our actions but are being just a puppet to data manipulators who shapes our beliefs and choices in ways unknown to many. 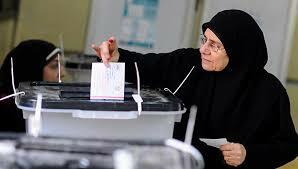 Many elections have held in Africa in the last 12 months from Rwanda, Kenya, Angola, Liberia and lately Sierra Leone. How much of this have their outcome been manipulated by technology or connivance with a technology company? Lately, blockchain technology was said to have been deployed in the recently held Sierra Leone elections. Although Sierra Leone authorities have denied this but we do know there is no smoke without fire. The question isn’t about whether it is appropriate to embrace the use of technology to make better choices but that of attitude and disposition to same and ensuring this is done right and is not manipulated to the unfair advantage of some. Technology must not be used to manipulate voters’ preference. The role of companies as intermediaries comes with huge responsibilities. African companies must develop and implement internal data protection guidelines and must not be subjected to the Government’s whims and caprices. In most African countries, security agencies have unfettered access to data being held by telcos and have connived with political leadership to infringe on privacy rights of many citizens. In the wake of the recent revelations, Facebook has suspended the account of Cambridge Analytica and the other companies connected to the scandal, but this is only typical of a fire brigade approach to the issue. It is same way most countries around here react rather than proactively position to avoid breaches by failing to put frameworks in place. It remained to be seen whether African Government will now take the subject of data privacy more seriously. Now that we know that the eMail account of Nigeria’s President was hacked and his health record retrieved in the wake of the election that brought him to power, he shouldn’t really be needing anyone to convince him on the importance of signing into Law the Digital Rights and Freedom Bill passed by the Nigerian parliament and he should bemounting needed pressure on Nigeria’s parliament to complete the legislative process for the Data protection Bill so he can assert that as well. Adeboye Adegoke leads Paradigm Initiative Digital Rights Advocacy work in Anglophone West Africa. He can be found on Twitter at @adeboyeBGO . We are not asking the NTA to do anything outside what it was set up to do. Section 8(1)(c) of its enabling Act states that it is the duty of the Authority to ensure ‘that any news given in the programmes (in whatever form) is presented with accuracy, impartiality and objectivity’. NTA is not to cower or shy from the news but is to give news with accuracy, impartiality and objectivity. Une élection sans coupure d’Internet en Afrique Francophone est-elle possible en 2018 ? Onze pays d’Afrique francophone préparent diverses élections entre février et décembre 2018. Le Cameroun, le Gabon, le Congo, le Mali, la Guinée, le Djibouti, le Madagascar, l’Egypte et la Tunisie font partir des pays francophones d’Afrique noire et blanche qui préparent au moins élection en 2018. Comme depuis quelques années déjà, des cas de violations des droits numériques et des libertés sur Internet se font régulièrement constater. A la veille des activités électorales dans de nombreux pays sur le continent, les gouvernements influencent grandement les services de l’Internet en leur faveur soit pour étouffer les manifestions de l’opposition ou alors utilisent Internet pour surveiller les autres candidats ainsi que les citoyens ; ceci se passe souvent avec la complicité des Fournisseurs d’Accès Internet ! 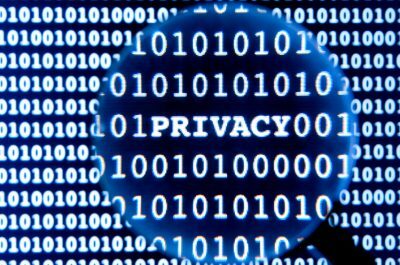 Au Cameroun, au Congo, au Gabon, en Tunisie et en Egypte, des cas de violations des droits numériques se font déjà ressentir dans ces périodes pré-électorales. Chaque influence en vers les libertés d’Internet divergent d’un pays à l’autre, mais avec les mêmes objectifs de privation des droits ou de surveillance à des fins politiques et stratégiques. Au Congo, le ministre des postes, de télécommunication et de l’information a demandé au Directeur Général de AFRICELL Congo le 30 décembre 2017 par un courrier la suspension totale des fournitures Internet dans le pays ainsi que les SMS. Cette fermeture de l’Internet de trois jours a intervenu après le début des manifestions de l’opposition. Le Congo prépare au mois de décembre 2018 des élections législatives et présidentielles. Le 27 décembre 2017 au Gabon, le ministre d’Etat en charge de l’Economie numérique a réuni tous les acteurs œuvrant dans ce secteur. Des avis sur la surveillance des réseaux sociaux ont été émis. Selon le secrétaire exécutif de l’Autorité de régulation des communications électroniques et des postes (ARCEP), Serge Essongué, « il y a des messages de haine qui sont diffusés sur les réseaux sociaux, notamment sur You Tube. C’est également le cas dans d’autres réseaux sociaux, Facebook. La grande question c’est comment réguler ces messages. Comment faire en sorte que ce principe général qui dit que la liberté de chacun s’arrête là où commence celle des autres soit également appliqué dans les médias sociaux. » Le Gabon prépare des élections législatives après plusieurs renvois pour le mois d’avril 2018. En Tunisie, les premières élections régionales doivent se tenir pour le mois de février 2018. Avant cette élection, le gouvernement tunisien a tenté de faire adopter un projet de loi sur la carte d’identité biométrique à puce devant menacer la vie privée tout en mettant en danger la sécurité numérique et le harcèlement. Ce projet de loi a été retardé grâce à une coalition des ONG de défense des droits numériques. L’Egypte prévoit des élections présidentielles en mars 2018. Mais quelques mois avant ces échéances, le réseau Internet du pays a été de très faible qualité en début janvier 2O18. Les égyptiens n’ont pas tardé d’afficher leurs colères sur les réseaux sociaux et accusent aussi le gouvernement égyptien de vouloir se lancer dans la surveillance des communications. Les perturbations identifiées ici montrent la volonté manifeste de plusieurs gouvernements de couper l’Internet pendant les activités électorales dans leur intérêt particulier afin de rester aussi longtemps que possible au pouvoir. Les perturbations, les coupures volontaires de l’Internet, les fermetures des réseaux sociaux, les arrestations ou la pression sur les utilisateurs de l’Internet constituent une violation flagrante des droits numériques. Ces activités sont une entorse au droit de l’homme, et un blocage de la prospérité des activités économique et la diffusion de l’information, les acteurs utilisant Internet de nos jours comme principal canal. Face à ces violations, les organisations des droits de l’homme dans divers pays francophones d’Afrique restent encore impuissantes dans des solutions à apporter à cette problématique des droits numériques. Une formation et une structuration des acteurs sur les questions variées des droits numériques ainsi qu’une coalition des organisations en Afrique francophone restent aujourd’hui l’un des défis majeurs pour Paradigm Initiative. Rigobert Kenmogne est Google Policy Fellow pour l’Afrique francophone chez Paradigm Initiative, une organisation panafricaine de défense des droits et de l’inclusion numérique. NCC Internet Code of Practice: The Nigeria Communications Commissions (NCC) has not done badly with respect to making its draft regulation available for the public and it regularly calls for stakeholder’s input. Where it has erred however is how it sometimes jettison inputs without feedback to those who made the inputs as to why those inputs were not captioned. One wonders if the calls for Stakeholder’s inputs were genuine or it’s just about “fulfilling all righteousness”. The NCC must consider this as an important feedback. The Draft Internet Code of practice, however, appears to be a great initiative and one that promotes the open and free internet. The stated objectives of the code are to: a) Protect the right of Internet users to an Open Internet; b) Provide clear guidelines to Internet Access Service Providers on the use of traffic management practices; c) Outline the obligations of Internet Access Service Providers in relation to the protection of consumers’ personal data; d) Outline the obligations of Internet Access Service Providers in the handling of offensive and potentially harmful content, and the protection of minors online; e) Ensure adequate safeguards are put in place by Internet Access Service Providers against unsolicited internet communications; f) Establish best practices for Internet Governance in Nigeria, in line with emerging issues and global trends. The application of the first part of objective “D” is definitely one to look out for as it is prone to manipulations by the powers that be. Whether this will happen or not is a function of how independent the NCC is. Unfortunately the NCC is rarely independent of the government of the day, neither is there proofs that it queries memo from the office of the National Security Adviser but let’s wait and see how these code will fare when and if it becomes operational. FCC decision to Repeal Net Neutrality: Federal Communication Commission FCC is the United States of America equivalent of the NCC. In a 3-2 close call, it voted to repeal net neutrality in the United States in December 2017. Someone might wonder how that’s relevant to Nigeria. It is relevant because a lot of countries including Nigeria look up to the United States for policy direction. It must be noted that the NCC has been under pressure before now by telecoms and ISP’s to allow them to apply extra charges for OTT services, this, the NCC resisted over the years. With the development in the US, business interest will have a “legitimate” example in their quest to subdue Net Neutrality principles and milk internet users by discriminating against Internet traffic/applications according to how much internet users are able to pay for desired services. The Youtube, Instagram, Snapchat and online streaming services’ lovers would be largely affected if this happens. Two Important draft legislation is on the verge of becoming Law in Nigeria, The Digital Rights and Freedom Bill (HB 430) which among other reasons situate human rights in the midst of technological innovations to help balance out the need for innovation on one hand, the need for rule of law on the other as emerging National security concerns are addressed. Also, Data Protection Bill (HB 02) address the need for Data protection law in Nigeria. It is hoped that these two legislations which have been passed by the House of Representatives become law by getting the required Senate concurrence and Presidential Assent in 2018. These two draft legislation have the potential to militate against any form of abuse and violations, feared, as we prepare for elections. Adeboye @adeboyeBGO is a Digital Rights Advocate with Paradigm Initiative. I attended my first Internet Governance Forum (IGF) in Geneva from the 18th December to the 21st December 2017. The theme of this year’s IGF was ‘Shaping your Digital Future’, and being the multi-stakeholder forum that it is, it was attended by representatives from governments, the private sector, civil society and academia. The IGF was designed as a meeting place for governments, the private sector, civil society, academia and all other stakeholders to deliberate on the issues shaping the Internet, as equals, and over the years, it has increased in stature as a premier Internet Governance forum. As a representative of Paradigm Initiative at this year’s IGF, I set out to attend as many digital rights and digital inclusion sessions as possible. However, in this blogpost, I share my perceptions from two sessions I attended on Artificial Intelligence (AI) and the future of work. The sessions in question are: Making artificial intelligence (AI) work for equity and social justice (WS129) and AI: Intelligent Machines, Smart Policies (WS93). One thing which was immediately clear from the sessions was the clear underrepresentation of Africa at these sessions. When it was time for questions also, most of the questions came from the perspectives of the developed world. 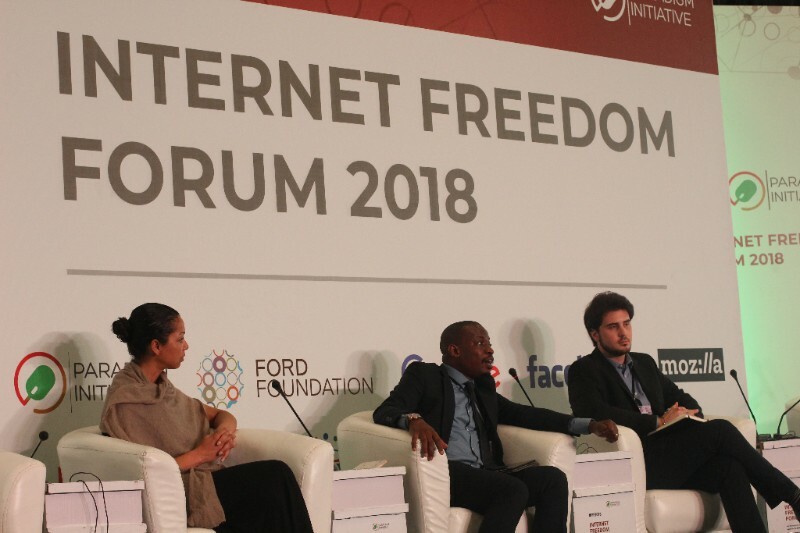 This was a shock because I know that African voices are heard quite clearly in forums which focus on Internet freedom and digital rights in Africa. The lack of sufficient African representation in sessions which had a bearing on the future welfare of Africans was not what you would expect from a continent seeking to bridge the digital divide. The most important pull-out from the 2 sessions on AI I attended was on the impact AI will have on future employment and well-being. It was argued that while AI will not have a great impact on employment levels, its impact will be felt more in the levels of inequality between the developed and developing world. The explanation for this being that the current tasks assigned to AI in the workplace are tasks for which there is a scarcity of human talent, and as such the introduction of AI will not necessarily lead to unemployment. Moreover, AI would lead to the creation of new co-working roles with AI, and AI administration and governance roles. However, the automation of tasks in the developed world will create economic efficiencies which will further worsen the economic disparity between rich and poor nations. Personally, the argument that AI will initially lead to minimal job losses was scant consolation. An OECD study has estimated that only 11% of adults in the OECD have competencies exceeding AI’s current competencies. That means that at the moment, in theory at least, AI can outperform about 90% of adults in logical tasks within one of the most developed economic blocs of the world with advanced educational systems. I will be interested in knowing what the percentage for Africa is. Which is where the challenge is: In a world which is increasingly becoming globalized, the successful integration of AI systems into critical sectors of the economy will definitely be copied elsewhere, including Africa as employers seek to cut costs and improve efficiencies. What will this mean for employment and citizens’ welfare in Africa? While the rest of the world have begun having these conversations, Africa seems to have adopted a ‘wait and see approach’, will not bode well for the continent. My take on IGF 2017? While the event website already shows that Africans are already underrepresented relative to the rest of the world, it would seem the few Africans who do attend are encumbered with the weighty matters of the present – internet penetration, digital literacy, digital rights to mention a few, and are distracted from discussions which are shaping the world of the future – which do not appear as urgent for Africa. Future African representation at subsequent IGFs needs to strike that delicate balance between the present and the future, so as not to lose the future to the more foresighted. “Prioritizing Human Well-being in the Age of Artificial Intelligence”. The IEEE Global Initiative for Ethical Considerations in Artificial Intelligence and Autonomous Systems. One of Nigeria’s most popular news websites became inaccessible, within Nigeria, late October, and has remained unavailable since. Here, I refer to naij.com, a website that has repeatedly ranked among the top ten most visited websites in Nigeria for years. I hate to be the harbinger of bad news but I must inform you that many internet service providers in Nigeria have knocked Naij and twenty other websites off the Nigerian online space for weeks now. According to available evidence, the blockade of domain names of Naij and others was at the behest of the Office of the National Security Adviser, acting through the telecommunications regulator, Nigerian Communications Commission (NCC). 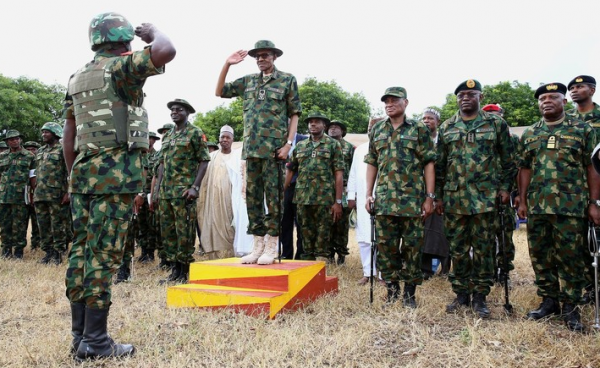 President Muhammadu Buhari, born-again democrat and lover of free speech, whose government just scored its biggest coup against the media and the country through this action led by his National Security Adviser, is quiet. Preventing access to naij.com in Nigeria is on the same level as stopping Punch from distributing its newspapers in the country. If this had happened to Punch or any other print newspaper, the whole country would be drowning in media-induced frenzy on the issue. How exactly has a democratic government managed to clamp down on one of the biggest online media outlets without setting off the media’s advocacy machine? This is what we know so far. On November 3, 2017, ITRealms, an online news site, reported that the Federal Government through the Nigerian Communications Commission ordered a company (name withheld) to block the domain names of some websites that are deemed inimical to the Nigeria’s national security. According to the memo dated October 20, 2017, and signed by Nigerian Communications Commission’s Director of New Media and Information Security, Haru Al-Hassan, and Head of Legal and Regulatory Services, Yetunde Akinoloye, the Office of the National Security Adviser prepared the list of twenty-one erring news sites. The list is a who-is-who of “pro-Biafran” websites. However, the NSA apparently considers Naij as pro-Biafra, hence the addition of the online media juggernaut to the list. On November 5, 2017, Nigerian Tribune released a report on the development, essentially corroborating the report of ITRealms. Tribune went a step further and quoted copiously from the NCC memo. In the Tribune report, we learnt that the NCC issued the directive to telecommunication companies relying on Section 146 of the Nigerian Communications Commission Act of 2003 to have the websites blocked. Immediately Paradigm Initiative learnt of this development on November 6, we went to work and ran copious tests on the domain names of the listed websites. We reached out to a source at Naij and asked why their website was redirecting us to a new domain name, naija.ng. The source, who is not authorised to speak publicly on the subject, said, “The website was shut down by the Federal Government. We are currently running on our backup platform, naija.ng”. For now, many users can still access Naij content via the backup domain name, naija.ng, but what happens when access to naija.ng itself is restricted by NCC? We have issued two press statements on this issue and on November 10 submitted a Freedom of Information Act request to the Nigerian Communications Commission. In the request, we asked the Commission the following questions: “Is the Nigerian Communications Commission, or any of its agents, in the process of taking steps to block or restrict the domain names of certain websites? If yes, what websites would be affected? What criteria were employed in selecting these websites? Under what legal provision is this being carried out?” As at the press time, the Commission has not responded to our request.According to the FoI Act, NCC had only seven days to respond to our request and the seven days lapsed yesterday. On his part, however, the Minister of Communications, Adebayo Shittu, categorically denied any attempt by the Federal Government to block the domain names of news sites in Nigeria. This is what he told Tribune: “I am sure NCC will never ever write such a memo. I am sure it never happened. President Muhammadu Buhari or any of the people working for him will never do or encourage anything that will amount to gagging of the press.” Is it that the Commission is engaging in this censorship activity without carrying along its supervising ministry? This would not be the first time a ministry would not be aware of what an agency under it is doing. It is also possible that the minister was not being truthful to Tribune. What really matters to us at this point is the precedent that the Buhari administration is setting by arbitrarily preventing Nigerians from accessing news sites of their choice. As we have said before, blocking the domain names of, or restricting access to, websites is a brazen violation of the right to freedom of expression as guaranteed, not only by the Constitution of the Federal Republic of Nigeria but also by international instruments to which Nigeria is a signatory. The Federal Government has a duty to protect free speech and not curtail it. Unfortunately, the Buhari administration, through various agencies, has not been shy about its ambition to “regulate” free speech. It has repeatedly pontificated about the danger of hate speech and why online speech especially must be regulated. President Buhari himself is no stranger to censorship and media clampdown. When he was Nigeria’s military dictator in the ‘80s, he promulgated the infamous Decree 4 that saw to the jailing of journalists and closure of media houses. Has Buhari changed since 1984 or does he still see critical speech as dangerous speech that must be fought to a standstill? The next few days or weeks would tell us. 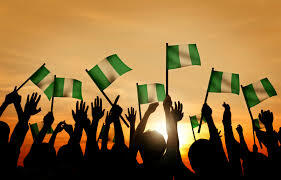 What does this development mean for digital rights in Nigeria? If the government can just wake up one day and restrict access to a website, what does that mean for the digital economy? What does that mean for democracy and Nigerians’ ability to criticise the government and voice their dissatisfaction to an administration they do not agree with? Does this mean that the website of an opposition party can be blocked ahead of the 2019 elections as long President Buhari’s National Security Adviser believes that such could prevent the commission of an offence? Nigerians should ask the government why they cannot access Nigerian websites that are available beyond the country. Today, it is Naij.com. Tomorrow, it could be your favourite news website or blog. Or it could be your personal social media account. Eternal vigilance is the price of liberty, a wise man once said. Sodiq Alabi is the communications lead at Paradigm Initiative, a pan-African digital right and inclusion advocacy organisation.